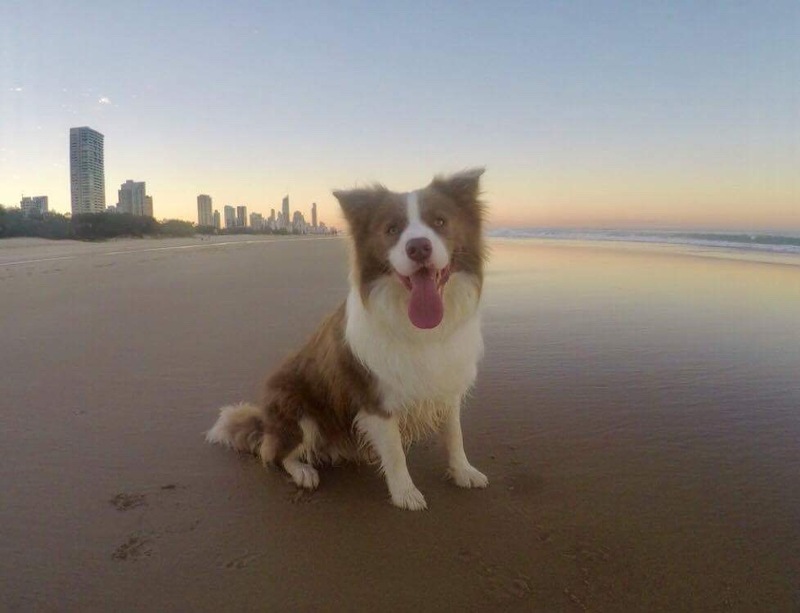 Gold Coast Dog Trainer can provide animals for photoshoots, filming, television commercials, theatre, music videos, events, advertising and more. We also have an expert pet photography service available. We specialise in training Dogs and Cats. We have animals already trained from Cats that can sit, shake, drop & hi-five. Dogs that can perform tricks, swim through the surf, perform attacking on command. We are happy to discuss and work to meet any of your training requirements. We also have contacts that enable us to supply you with other animals such as horses is required. Production companies can complete our enquiry form detailing what they are looking for. Or, if you have any questions regarding any aspect of shooting with animals please just give us a call. Please see below for some of our most recent stars or visit our Facebook page Gold Coast Dog Trainer to see them in action. Cody is able to perform all of the basic commands, sit, drop, stay etc. Cody is trained to Speak on demand, search, bite, chase. He is also a very confident and strong swimmer so will happily jump into water or paddle out in the surf if required. Zeus on his YouTube debut amassed an incredible 344,000 views with his sit, drop, hi-five routine! Zeus is now able to perform other tricks such as shake, beg like a dog, play dead, kiss, come and bang. Isla is trained to come on command, sit, drop, shake, hi-five and even speaks (meow) on command! She's also super pretty!! Humphrey will off leash heel, sit, drop, stay, hi-five, spin, speak, bow, walk backwards, weave between your legs and crawl. He is only just over a year old and super keen to learn new tricks, very trainable and obviously very handsome! Molly is still a young kitten and owned by our trainer Jasmine. At just 10 weeks she was able to sit, shake, speak, spin, jump through a hoop and will quite happily wear clothes! We are excited to see how her training progresses!